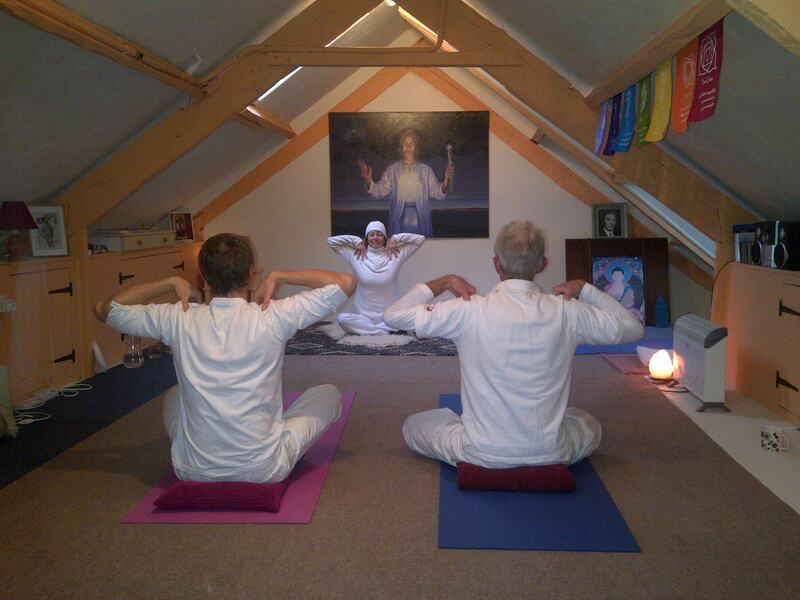 Katherine is a qualified & passionate Kundalini and Sivananda Yoga teacher & loves these modalities of yoga. She works with Homeopathy, Naturopathy and Flower Essences. She is a healer using the George King Technique. She offers 'Camino Orientation Consultations' which are a mix of all the above therapies depending on the needs of each individual. Cost £50 per hour, £30 for a half hour in Devon. Phone and Skype consultations are £1 a minute. I have been using yoga, homeopathy & natural healing systems for transformation for 20 years. Having been fully dosed with antibiotics as a child and watching my mother die of Cancer when I was 18, I sought to find some answers to my questions about life and started on my healing journey. When my son was born in France 1987 I discovered homeopathy and I've been using it ever since. I taught homeopathy for the Lakeland College in London for 10 years & I ran a homeopathy practice from Health Foods, 757 Fulham road in London for 10 years as well. A full case history is taken encompassing physical and mental/emotional areas. Treatment can either be constitutional: looking at inherited tendencies plus all present issues and treating the whole or, therapeutic: aiming at managing distressing symptoms, with homeopathic remedies & other modalities, with the goal of understanding these symptoms as part of the whole picture. The consultation and treatment are an interactive process with frequent feedback sessions to find out how your health journey is progressing. I believe that disease occurs only when our internal environment is favorable for disease growth and we create our internal environment through our diet, life-styles, thoughts, feelings & habits. So we will explore all these areas. Homeopathy can be used to enhance your health & wellbeing physically, mentally, emotionally & spiritually. What is different about homeopathy? Homeopathic remedies, from plant, mineral and other sources are ‘potentised’ by diluting and shaking them many, many times. This distinguishes them from herbal medicines and takes away any toxic side effects so they can be used safely in pregnancy and if you are on other medication. Many orthodox doctors, operating in a Newtonian paradigm, do not recognize the benefits of homeopathic treatment because they have not assimilated the quantum physics which underlies its philosophy. Homeopathy is based on the resonance principle that like cures like. As with acupuncture it works on the body’s energy system, it works to retune your energy. For example we use 'apis mel', a remedy made from bee sting, for soreness, redness or swelling (the kind of symptoms that you would get if you were stung by a bee) occurring in any part of the body. It is often a good remedy for the very active person, the proverbial: ‘busy bee’! "My life was handicapped from birth through constant bronchitis. I was given so many antibiotics that my immune system was also breaking down. I met Katherine Armitage at The Mind Body Spirit Festival in 2006 and I managed to capture a few moments to talk with her about homeopathy. She was able to give me some tablets having heard my story. Now, through homeopathy my life has turned around, and my lungs are stronger than ever, breathing in all the fresh air they can! My lung capacity is brilliant for my age group and I visit the gym three times a week instead of the doctor’s surgery! Through constant discussion about various symptoms and emotions with Katherine, she prescribes remedies that release my ailments. These remedies allow my emotions and mental obsessions to become recognizable and then they can pass me by. With my every breath I say Thank You for Homeopathy…and of course to Katherine, for my longer healthier life…"
I have used homeopathy with all kinds of health issues. I enjoy working with a wide variety of people. I do follow up telephone consultations to give people extra support through challenging times and to prescribe for acute illnesses. I have always worked a lot on the phone but since I moved most of my practice from London to Devon I find it useful to give consultations on the phone. It is practical, flexible, time saving and often cheaper for people to talk to me, on the phone, rather than to come and see me or for me to go & see them. It also means that I can work with people who live a long way away or abroad. I work fast and I enjoy acute prescribing, so sometimes a 10 minute consultation will be able to offer you what you need. Telephone Consultations are £1 a minute: convenient & time saving. Please call 01271889325 to book an appointment. You can decide how long you want to speak for. A first consultation is usually 45 minutes or an hour so that you have time to describe what is going on. After that follow ups can be 15 minutes, half an hour or an hour depending on how much time you need. It also means that you can speak to me every week for 10 minutes , for example, if you want ongoing support. 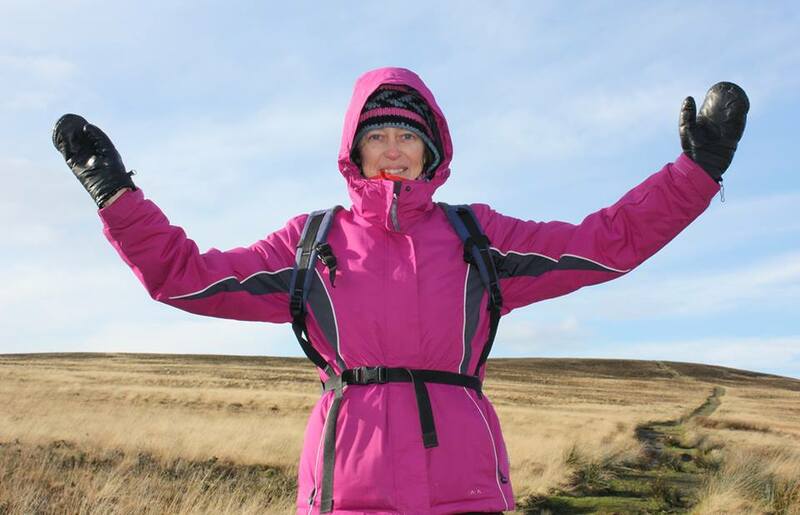 Katherine consultations are also specifically for people who would like to walk a Peace Camino, to help them to optimise their health for their journey. You can take remedies with you to help with aches and pains etc. Homeopathy is magic!